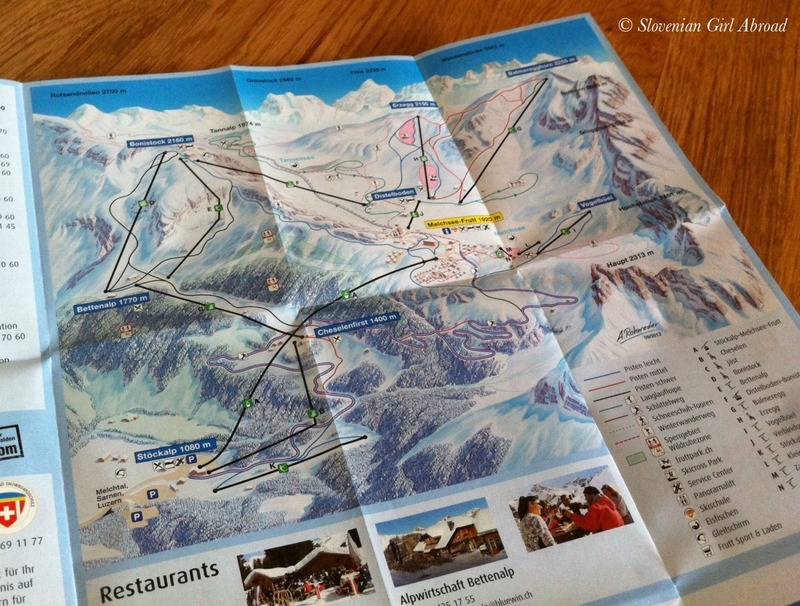 After 35 minutes drive from Luzern, we arrived to Stöckalp where we parked our car and bought our ski passes. 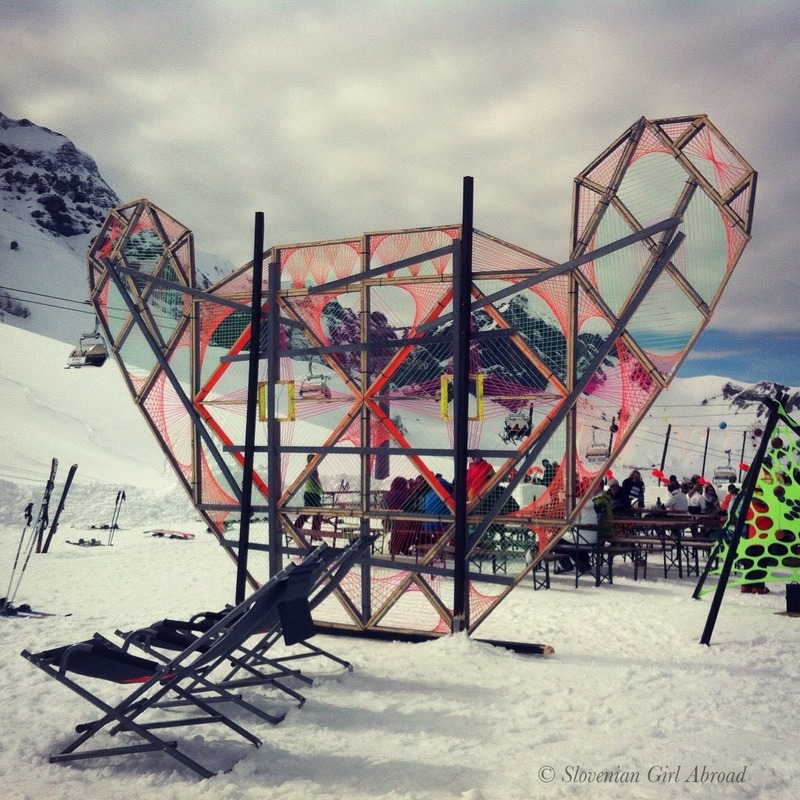 Then, the cable car took us to the Melchsee-Frutt where the fun began. Stretching at the altitude from 1,080 to 2255 meters, Melchsee-Frutt’s ski area divides to two areas: Bonistock and Erzegg. They are joined, but there are some parts where you might need to take your skis off to reach next tow. Melchsee-Frutt is a small ski resort. 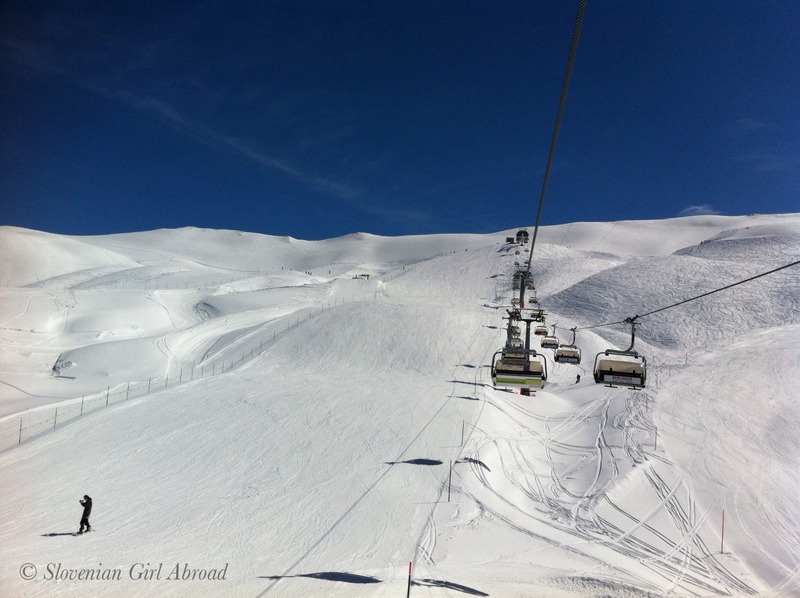 In total, there is 32 km of ski runs of all difficulties. They are wide and all offer a great scenic views. Steeper slopes run from the Bonistock (2160 m) down to Stöckalp (1080 m), while less demanding blue and red slopes runs from Erzegg and Balmeregghorn (2255 m) to Distelboden. 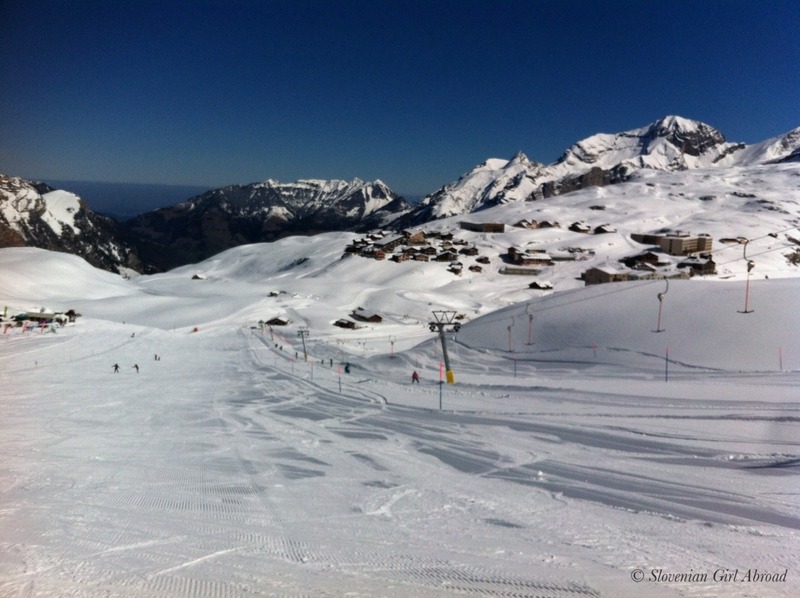 Blue slopes might be a bit boring for good skiers, but are ideal for the beginners. 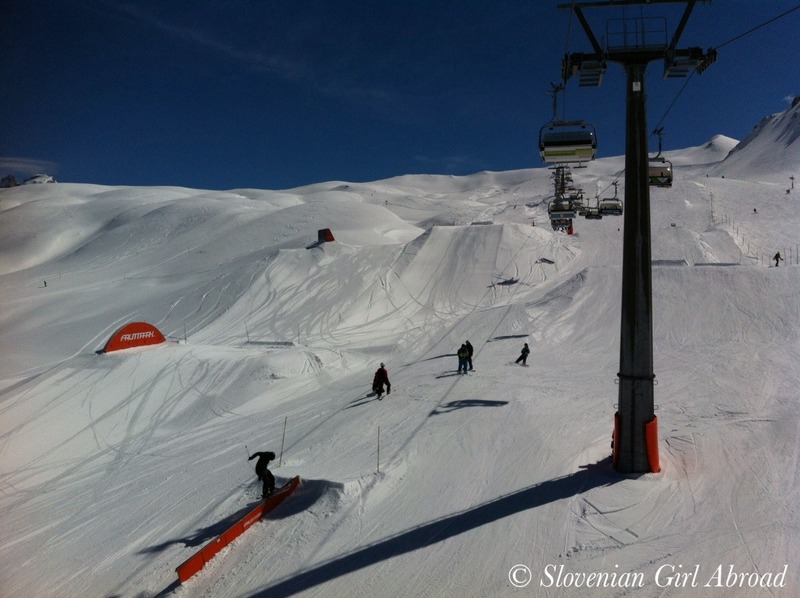 For those looking for some adrenalin, there are also a ski cross piste and freestyle park which is supposed to be the biggest in Central Switzerland. 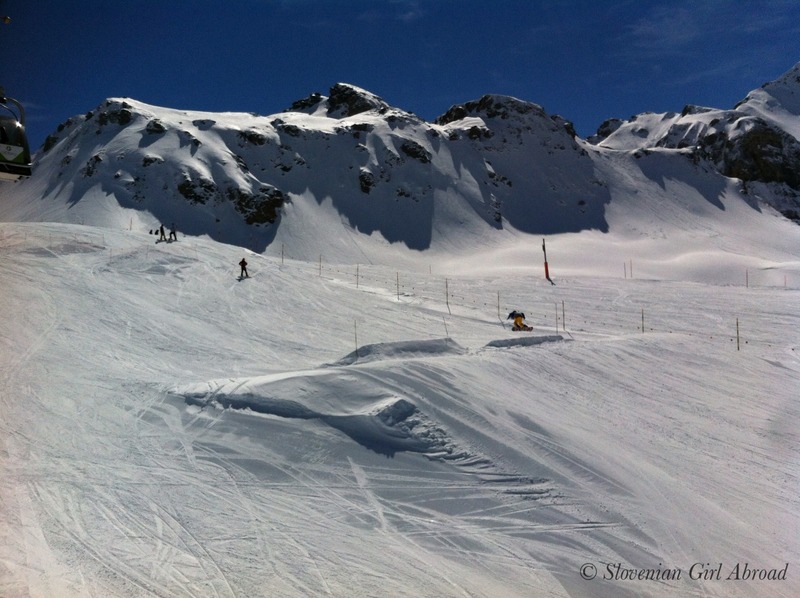 We’ve tried the ski cross piste and is really cool. Stunning scenery, unspoilt nature and a numerous activities available in all seasons are the reasons why Melchsee-Frutt is one of my favourite places in Switzerland. By public transport: take train to Sarnen and change for bus (Postauto) to Stöckalp. 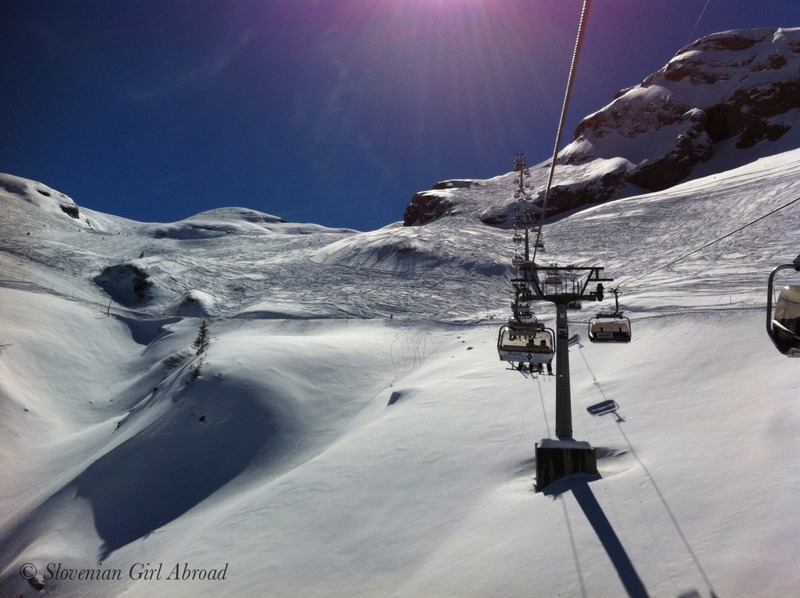 I love to snowboard and one of my dreams is to snowboard in Switzerland! This resort looks awesome, I hope I’ll get to spend a day here in the future. wow snow, when can i touch snow? we’re planing in December for Italy, but that’s not final…. Italy is great. I’m sure you’ll like it!